Follow Emmy on their journey from humble and abused apothecary’s apprentice to lynch pin in a plan to save the world from ‘Dark’ magic in this fantastical coming of age story. Prince Mantos, rightful heir of the Masvam Empire, is murdered to allow Dorai, the Dark Goddess, to seek ultimate power. However, all is not lost, for Mantos has died once before and mysteriously returned from the dead. Into this tumultuous conflict steps Emmy, a slave who escaped captivity, only to be enslaved once more. Recognized by the healer Rel, who shares Emmy’s unusual skin coloring, as a descendant of the Uloni, a race brought forth into the world by the daughter of gods, Emmy may be the key to returning balance to this world. Enemies become friends, and lovers become enemies as the battle lines are drawn in a desperate struggle to save the world from Dark Magic. The Moon Rogue is a must read for fans of Becky Albertalli, Emily M. Danforth and Leigh Bardugo. 5,0 von 5 SternenFantastic, original fantasy world! So I came across this book on instagram a while back when the author had it self-published under a different name. I stumbled upon LMR Clark’s page one day and found myself captivated by the art they had posted of characters from the book. I reached out to them and they sent me a copy in exchange for an honest review! Since then, the author has been signed to a publisher and has asked me to review the book again. I’m a few chapters into the newest edition and my feelings have not changed about this book, so here is the review I posted when I first read the book! Enjoy! First of all, let me tell you, I loved Gray’s world building and character building. This book is fantasy, obviously, and the characters in the book are a race of folk that are what I can best describe as lizard or dragon-like people. They have scales, tails, horns running along the center of their heads, and hairlike fronds on their heads (go check out Gray’s page for sketches of the characters). I thought this was such an original concept and helps this book stand out from other fantasy novels! Another thing I thought that made this book original is that many of the kingdoms (or queendoms more accurately) have reversed gender roles. In these queendoms, women hold the power and are the ones who go to war. It was interesting to see the character interactions in these reverse gendered societies. Overall, the story was really compelling! The plot line felt like “Game of Thrones” for a younger audience. There is betrayal, magic, mystery, and fantastic creatures. I really enjoyed this book and I can’t wait to read the next one! I suggest you check out this book, read it, leave a review, and support an up and coming author! 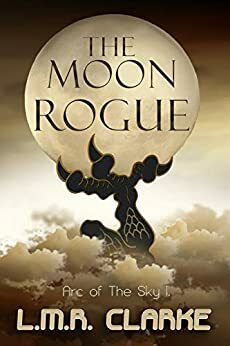 The Moon Rogue is unlike any other book I've read in a very long time. Set in a well defined fantasy world, its inhabitants reminding me of lizard people, or even dragons, it feels as if these people actually exist somewhere, and Clarke had just retold their stories. She has such a compelling way of storytelling the likes of which I haven't seen in a while, that from the moment you open its cover, you are sucked in, refusing to let you go. From misguided Bandim to daring Emmy, her characters are so real, you feel like you're walking along, breathing in their adventure. You don't want to miss out on this book! If I could give 3.5 stars, I would! To be honest, this book just isn't for me. The writing is incredible, the world is unique and fantastical at every turn, but I struggle with all the different view points. It's why I couldn't get through Game of Thrones. While I was prepared for two viewpoints based on the description, I was not ready to hopscotch between multiple characters (many of whom I felt no connection to/didn't care to read about). This is a personal preference. If you like multiple POVs, this book is for you! If you like high fantasy with a world entirely it's own, read this! Now you'll know ahead of time if this book is for you. This is a tremendous new and magical world. Dive in and explore and you will eagerly wait for more. 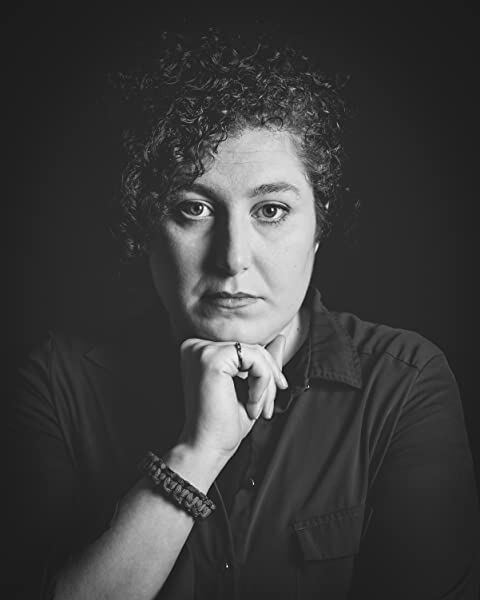 Find the author on Instagram for a sneak peek on the world building if you prefer to know more as you read.